This paper introduces the concept of "educational multisectorism" among the private not-for-profit, private for profit, and public/government sectors. Multisectorism leverages the opportunities presented by the contrasting economic and "social" advantages (and disadvantages) of educational organizations operating in the three sectors, as viewed through the analytical prism of comparative advantage. The underlying principle of multisectorism is the belief that drawing on the resources and strengths of all three sectors can be of significant benefit to the pursuit of educational reform. Thus, multisectorism (rather than "unisectorism") - and the covisionary entrepreneurial thinking and social entrepreneurship that are its implementation alter egos is suggested as a powerful paradigm for innovation and change. Through this paradigm, educators, regardless of sector location, can join forces to advance K-12 educational and social outcomes. The authors emphasize the tight coupling between educational entrepreneurship and social entrepreneurship and the evolutionary changes that are beginning to foster both processes in K-12 education. They also examine the education "industry" today - its historical antecedents and the current trends that are shaping it - and delve into the "industry's" expanded three-sector modern presence that extends well beyond traditional schools, colleges, and universities. Robust and client serving educational ventures that maximize educational reform and learning improvement may best grow from the cross-sectoral synergy of sector-specific advantages. 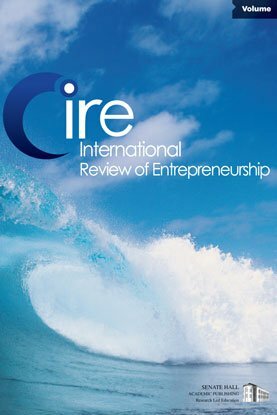 The fashioning and sustaining of such effective "covisionary educational multisectorism" will hinge on educational leadership that pursues its social mission across sector lines and that is firmly grounded in the characteristics and principles (as defined in this paper) of educational entrepreneurship and entrepreneurial thinking.